New Evidences: Acidity Theory of Atherosclerosis: What causes the elevation of cholesterol levels in blood? "Carlos, your thesis on stress, acidic environment and CHD is brilliant. Particularly impressive is how you relate reduced pH to increased oxidation of LDL, which increases its atherogenicity" by David M Diamond, PhD*, THINCS forum on June 22, 2011. *Professor Depts of Psychology and Molecular Pharmacology and Physiology, University of South Florida. What causes the elevation of cholesterol levels in blood? 2) High carbohydrate diets and cholesterol elevation (16, 17, 18). 3) Smoke and cholesterol elevation (19, 20). It is interesting to notice that specially in stress conditions and in high carbohydrate diets there is a significant elevation in blood lactic acid, with paralleling elevation of cholesterol levels in blood which represents in our view, a healing response of the body to the vascular endothelial lesion (21). As Dr. Malcolm Kendrick, a colleague from the International Network of Cholesterol Skeptics (THINCS), use to say: "Do cigarettes contain fat? No, not at all. So, how can smoking a cigarette, containing no fat or cholesterol, end up depositing fat and cholesterol in the artery walls. What is the mechanism for that?" By the way, in a recent paper the authors have assessed all dietary interventions using Dietary Cholesterol (DC) or eggs and presented their own conclusions. They point out that short-term effects where there is a rise in plasma cholesterol with DC should be interpreted with caution because they differ from long-term effects where there is no relationship between DC and plasma cholesterol (22). 2) Changes in plasma lipids with psychosocial stress are related to hypertension status and the norepinephrine stress response. Wirtz PH, Ehlert U, Bärtschi C, Redwine LS, von Känel R. Metabolism. 2009 Jan;58(1):30-7. 7. 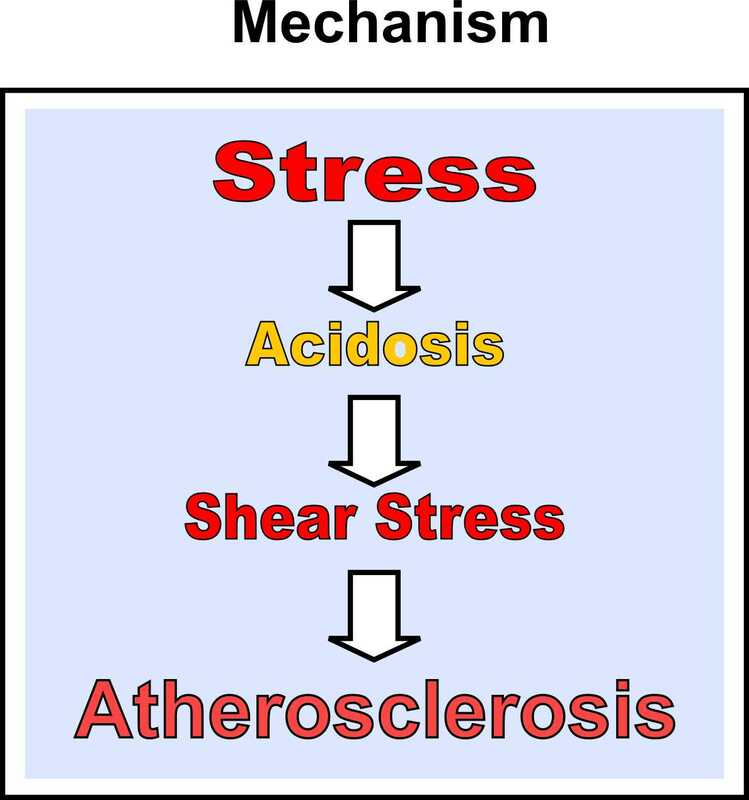 Examination stress: changes in serum cholesterol, triglycerides and total lipids. Agarwal V, Gupta B, Singhal U, Bajpai SK. Indian J Physiol Pharmacol. 1997 Oct;41(4):404-8. 13.Richards JC, Hof A, Alvarenga M. Serum lipids and their relationships with hostility and angry affect and behaviors in men.Health Psychol. 2000 Jul;19(4):393-8. 14. Hostility-related differences in the associations between stress-induced physiological reactivity and lipid concentrations in young healthy women.Suarez EC, Harralson TL. Int J Behav Med. 1999;6(2):190-203. 17. Blood lipids, lipoproteins, apoproteins, and uric acid in men fed diets containing fructose or high-amylose cornstarch. Reiser S. Powell AS, Scholfield DI. Panda P. Ellwood KC. Canary II. Am J Clin Nutr 1989:49:832-9. 18. Hallfrisch J, Reiser 5, Prather ES. Blood lipid distribution of hyperinsulinemic men consuming three levels of fructose. Am J Clin Nutr 1983:37:740-8.